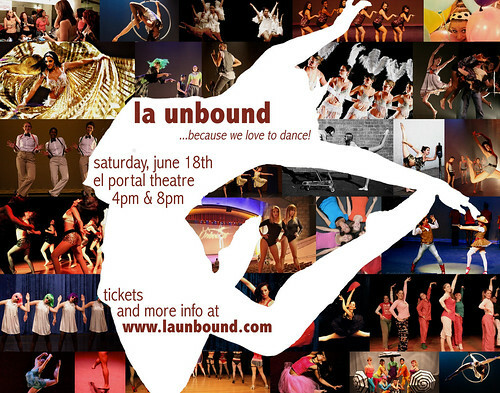 We are excited to be returning to North Hollywood’s historic El Portal Theatre for two upcoming performances featuring all styles of dance, including contemporary, ballet, tap, jazz, hip-hop, musical theater, aerial, salsa, and more, with over 20 pieces and more than 100 performers. The shows will take place at 4:00PM and 8:00PM on Saturday, June 18th 2011 at the El Portal Theatre at 5269 Lankershim Blvd in North Hollywood, CA 91601. Tickets are $18.00 in advance and $25.00 at the door. Seating is first-come, first-served general admission and doors will open 30 minutes prior to each performance.